HORSES.HEALING.HOPE. is an innovative emotional and spiritual healing experience for breast cancer survivors, designed by Amy, after her own victory over breast cancer. 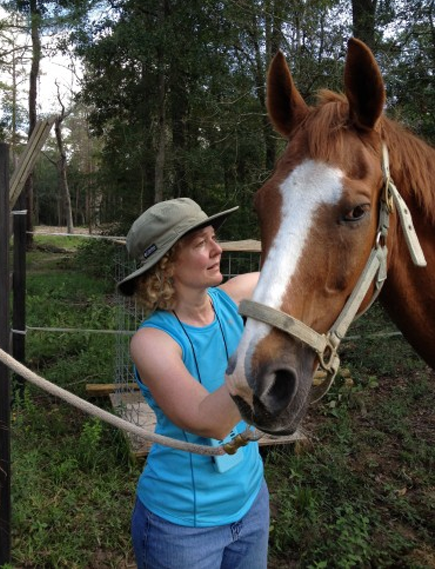 Custom equine-based program designed to connect women, horses, and a personal walk with Christ throughout the various stages of recovery. Facilitation team including program developer / author / breast cancer survivor, Certified Equine Specialists, and of course, horses! This is NOT a riding program. Riding is an option for last session. Not all our time is spent working with the horses. Each session involves unique interactive reflection moments symbolic to our lives…past, present, and of course, our future! Opportunity to experience Christ, hope, and continued healing in a unique way that opens doors to growth you might never thought possible. Opportunities to join groups for continued, on-going spiritual, emotional and social connection. Contact us for information about our next scheduled HHH session.